My husband and I recently bought our very first home! And let me tell you, it feels like a really big deal! We have been married for 11 years now and have rented apartments the whole time. Of course, a lot of them have been very nice, and we have been very thankful for them. But there is just something about living in a house that is actually YOURS. Where you can do whatever you want to it! (within a realistic budget of course!) I have been excited for this moment for literally my entire life. I always looked forward to the day where I could have a house where there were no limitations, and I could make it look exactly how I wanted. It feels amazing to have finally made that dream come true! 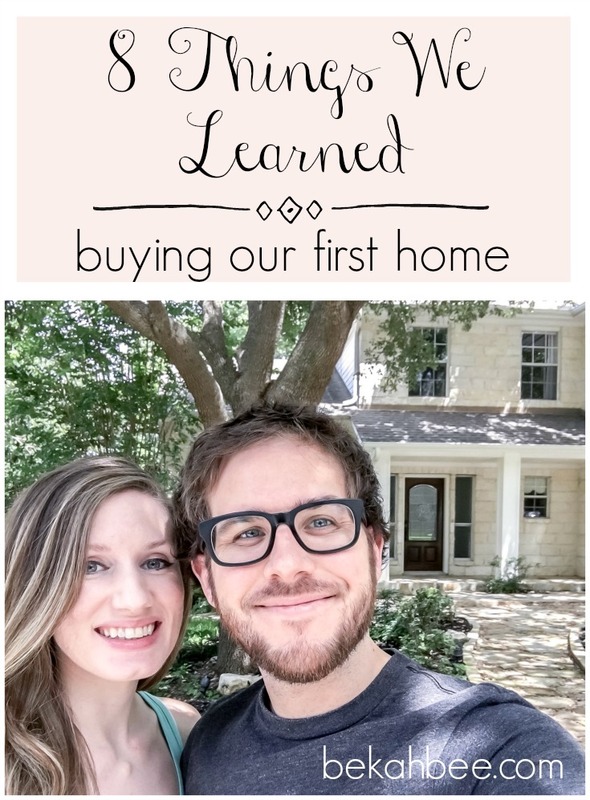 Here goes: 8 things we learned buying our first home! This entry was posted in Thoughts on 08/30/2017 by bekah. Coffee bars have to be one of my favorite areas to style. Maybe it’s the fact that I am very slightly obsessed with coffee (and have been since I was 17!) or maybe it’s just because they always seem to look so darn cute! I am pretty passionate about creating moments in your day that are experiences. Small moments that make up part of the daily grind, where you stop for just an extra minute or two to really revel in it and soak it all in. Of course, one of those for me is my morning coffee. 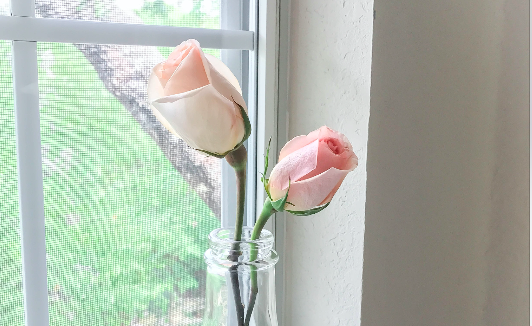 So I really loved setting up this whole experience to add just a touch of magic to the day! Something that was also really special is that I put this together in our very own home. Finally getting our own place has been so completely grounding for me, and I love the feeling of rootedness it has created. I know that we aren’t going to leave anytime soon so it makes me feel very content to finally settle down and nest. Does anyone else out there know the feeling? That’s what over 10 years of renting will do to you! Especially those of us who are extra “nesty” and feel very overwhelmed by change in our routines. I feel that sense of finally “being home”. 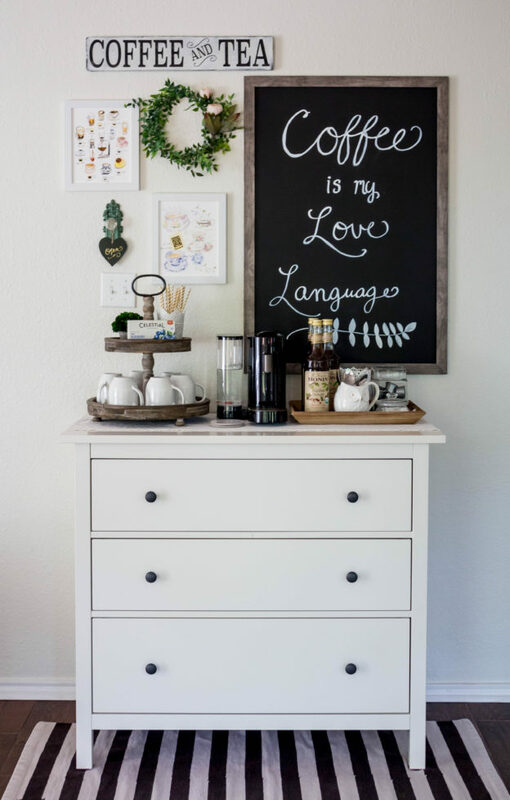 So, enough of all that jabbering-lets get on with my fun coffee bar reveal! Isn’t she pretty? 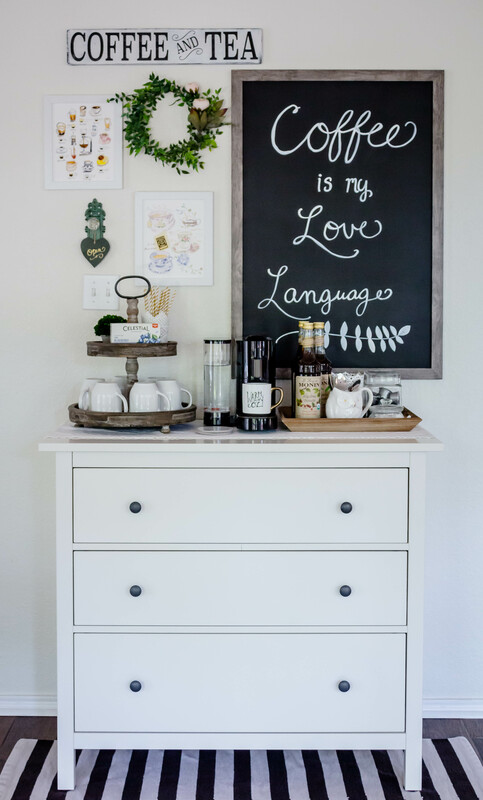 This entry was posted in Decor on 08/14/2017 by bekah. Hello friends! It has been such a long time since I last blogged. Life got a bit crazy with some life changes, and I will be posting an update on that very soon! 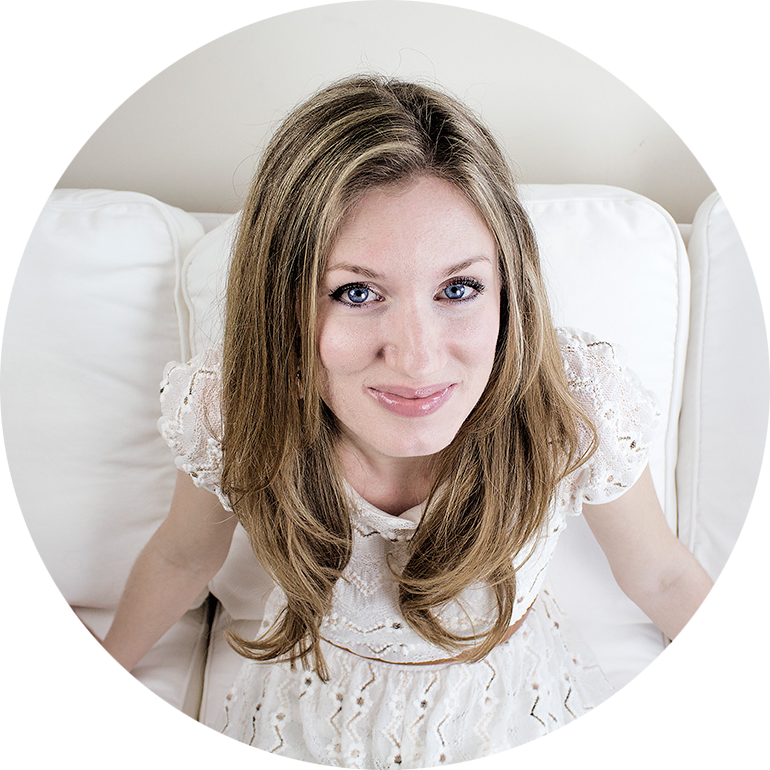 Today I am finally sharing a very exciting, long awaited project: my Master Bedroom reveal! This has been one of my favorite spaces to put together in our apartment, and now that it is finally done I just love walking in here and taking it all in! 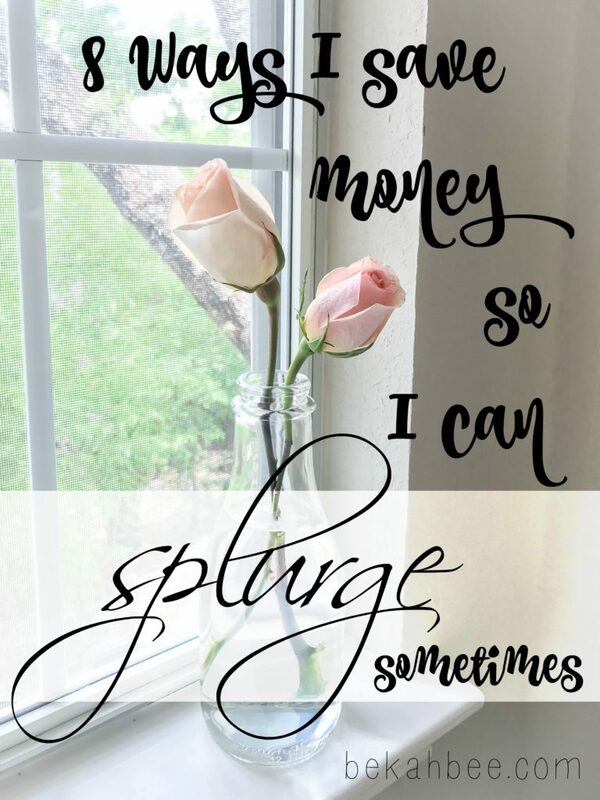 As a young girl, I was incredibly inspired by beautiful spaces and would just soak up all the beauty in certain homes I would visit. I remember so vividly one day where I attended a church small group gathering in a young family’s home and needed to use the restroom. For some reason, the one I was pointed to was in their master bedroom. 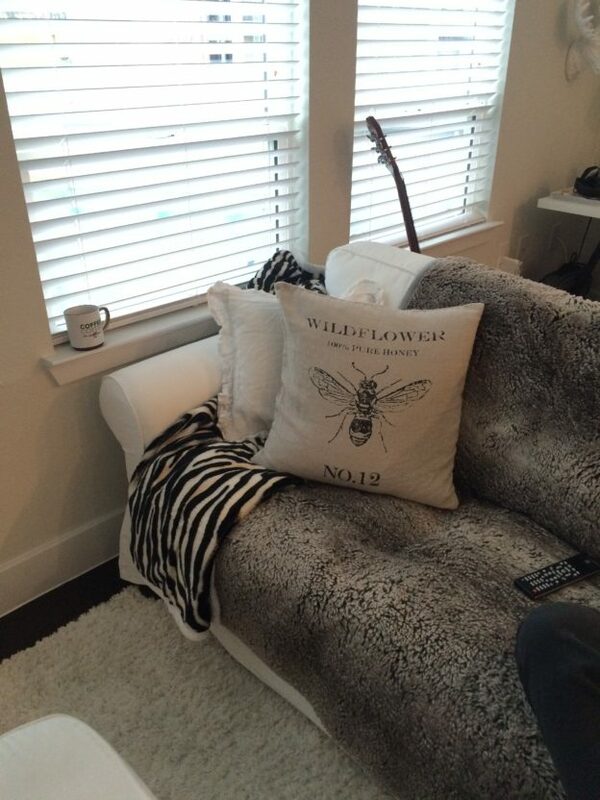 It was the prettiest “mom and dad” bedroom I had ever seen! I remember walking in and admiring the beautiful four poster bed, and the gorgeous, serene space that had been created in that room. It was truly a retreat, and I promised myself that one day I too, would create a beautiful master bedroom! 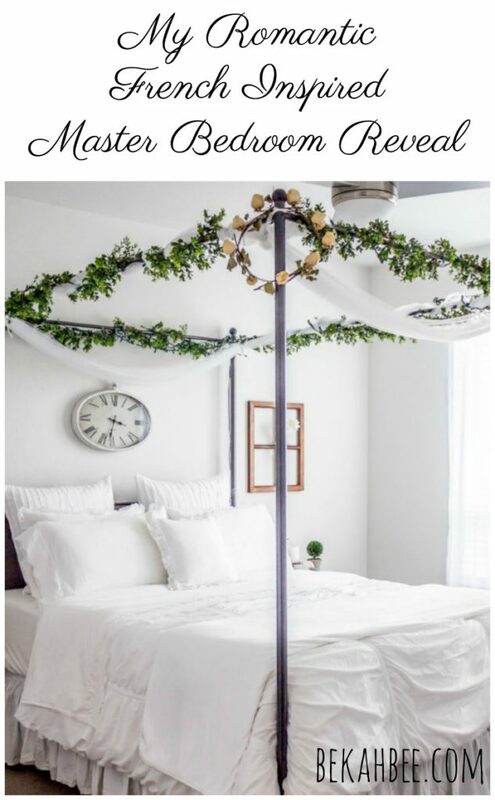 A dream of mine since we got married 11 years ago was to one day have a black iron canopy bed, and I was SO excited when we finally decided to take the plunge and get one, and also allot the budget to complete our entire room. Pretty much everything is new in here, and I just love how it all came together. 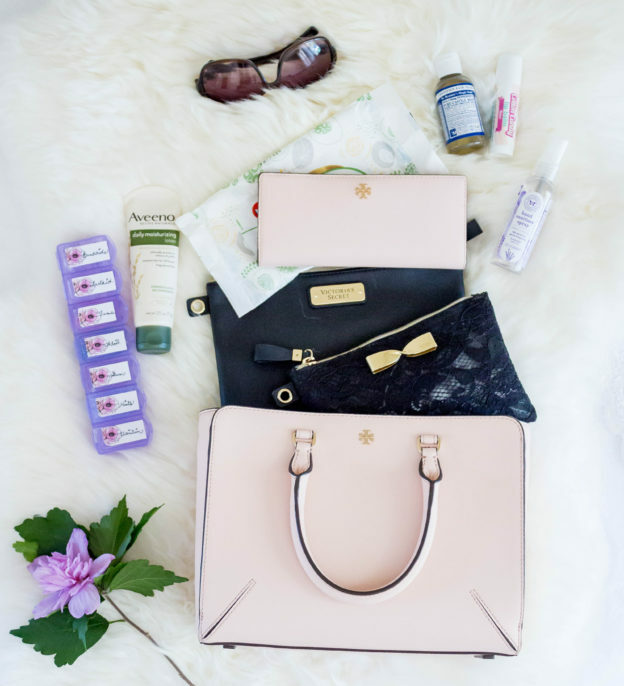 I planned my vision for it out on a Pinterest board, and stuck to it pretty much, with minor tweaks here and there. So without further ado, welcome to our romantic, french inspired master bedroom! This entry was posted in Decor on 06/06/2017 by bekah. 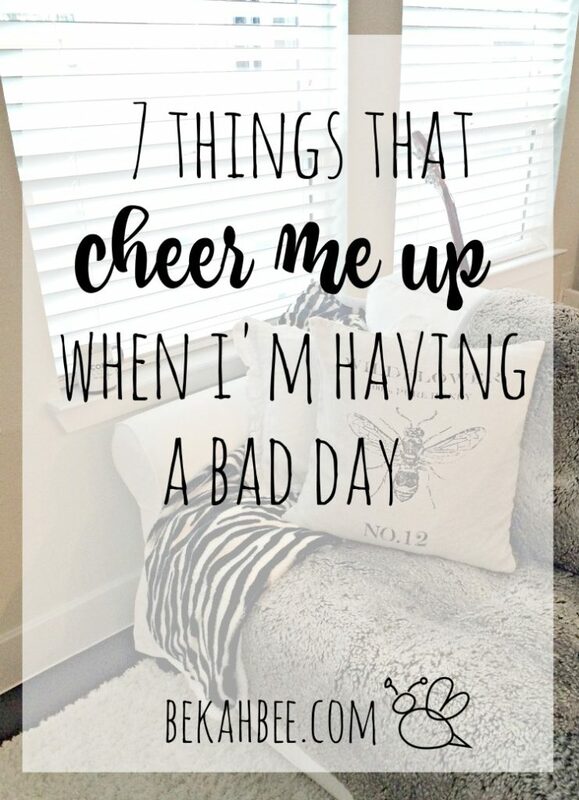 You know those days where everything seems to be going wrong, the dumbest things make you want to cry and you are overall just discouraged about life? Maybe its bad news from a friend or family member, or you are disappointed about something that didn’t work out the way you wanted it to, or, I don’t know…a million other reasons. Those days where the book title: “Alexander and The Terrible, Horrible, No Good, Very Bad Day” just seems like the most accurate description ever?? This entry was posted in Thoughts on 02/09/2017 by bekah. Would you believe that at 33 years old, a life-long beauty aficionado, I just recently bought my first proper set of makeup brushes? Crazy right? I always thought they seemed really over-rated and I just put my foundation on with my fingers. 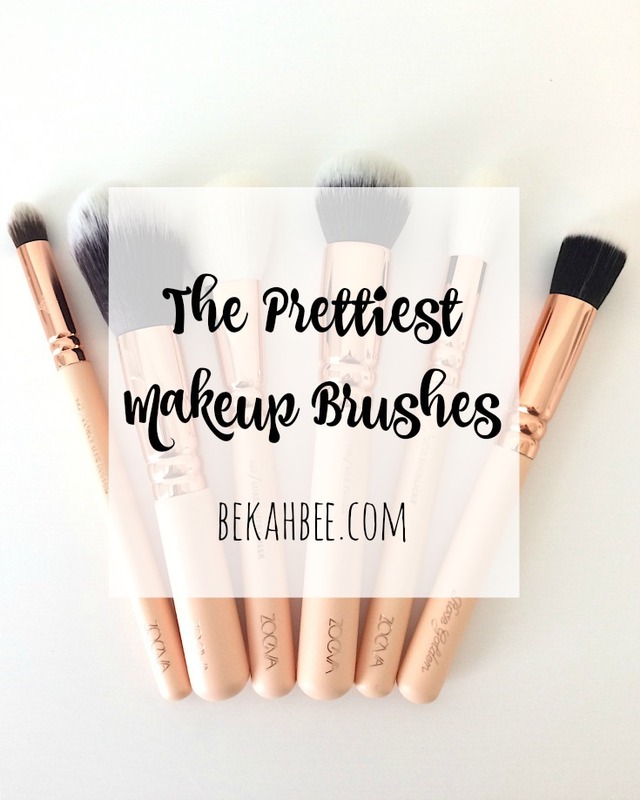 But I did start getting curious since all the beauty gurus seem to use brushes to achieve that perfect finish. So I started looking for the perfect set of brushes probably about 2 years ago now. 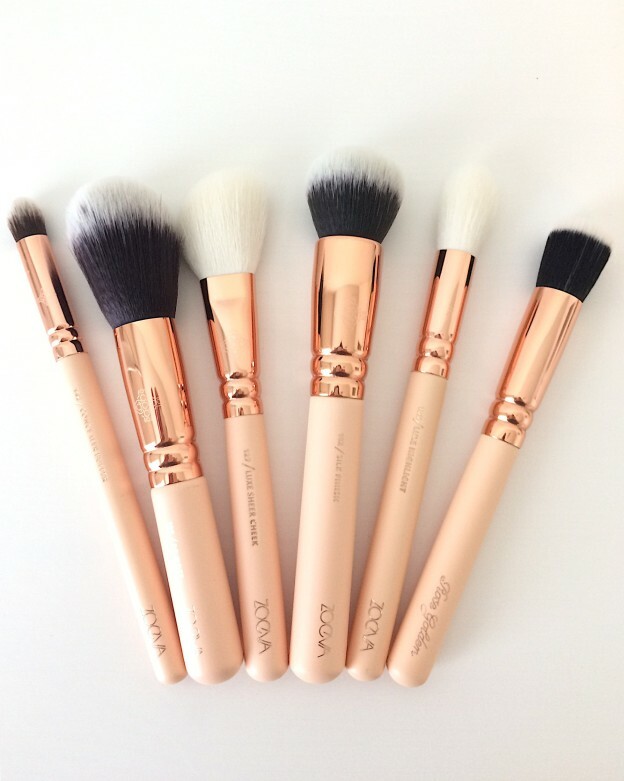 But just like how I am a sucker for pretty product packaging, I wanted the brushes to not only be functional but beautiful too. 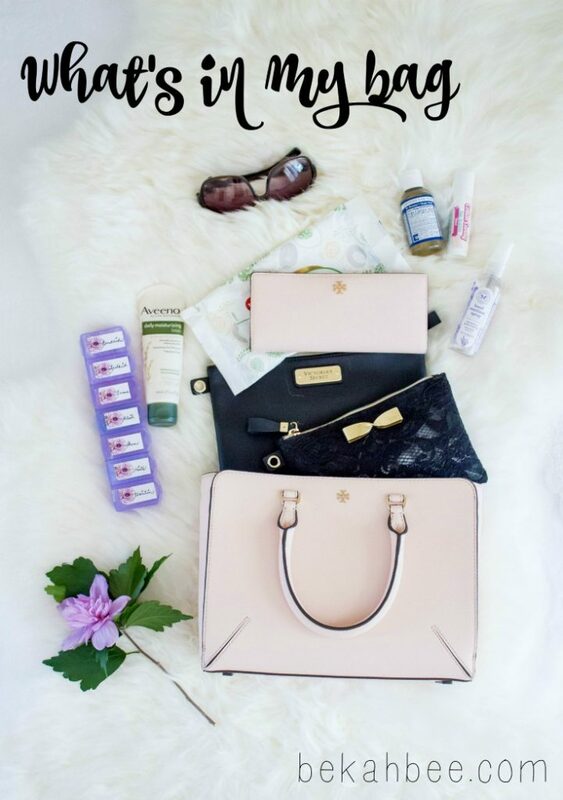 To be able to display on a vanity and look pretty and elegant. I thought I had found the perfect set a while back with the Tarte Brushed with Destiny brushes, but they were limited edition and sold out before I could get them! This entry was posted in Beauty on 01/31/2017 by bekah. Hey guys! Hope you are having a lovely week! I’m trucking right along here with my whole house organization project and getting things done slowly by slowly. Since they are happening more sporadically these days, I’m just going to label each one with the area I organized, instead of the week since it might not be every week! 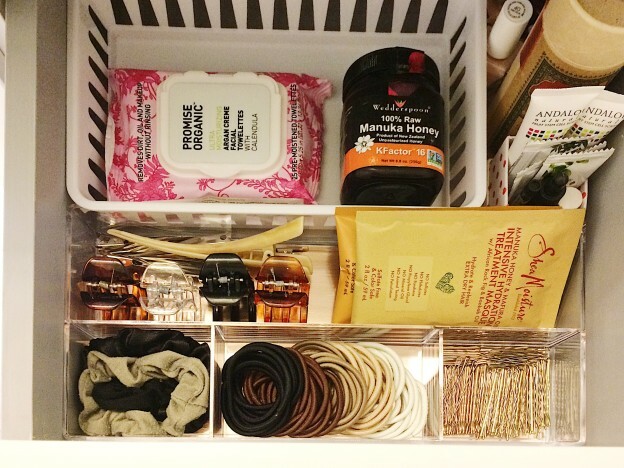 I finally got my bathroom drawers done, and that has made a nice impact on my daily routine being less cluttered and chaotic! I also remembered to take some before shots, hooray! Even though they were kind of quick and didn’t turn out as clear as I would like, oh well. 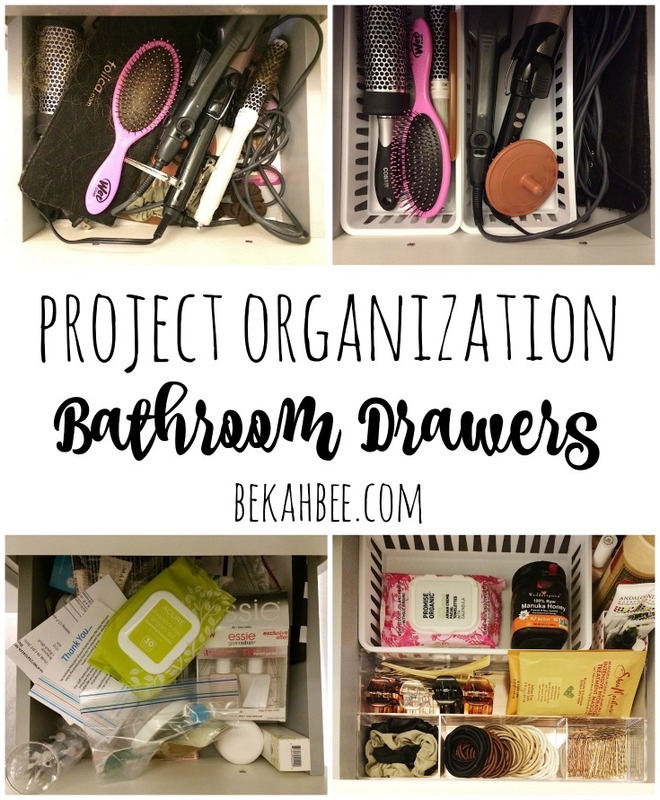 This entry was posted in Organization on 01/18/2017 by bekah. Isn’t a new year such an intoxicating thing?? 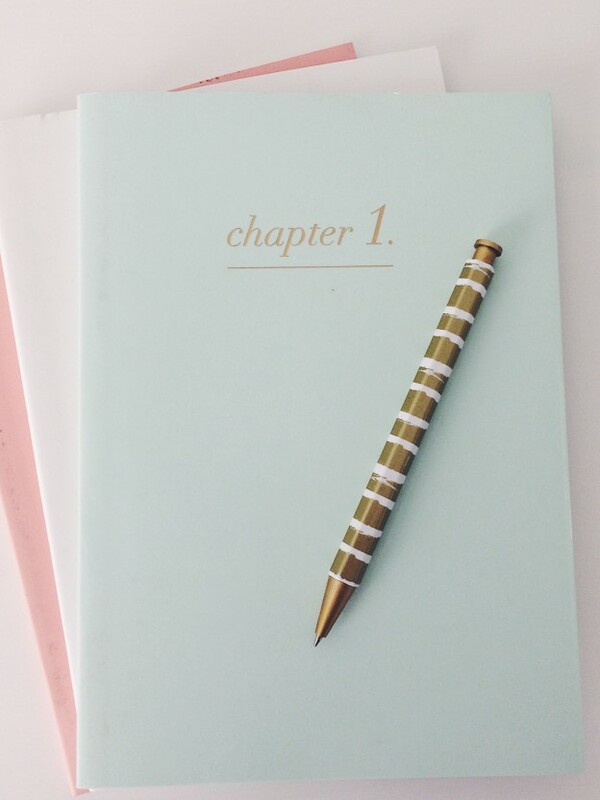 A fresh start, the slate wiped clean, a new page just waiting to see what will be written on it. It’s all up to you what you will make of it! Obviously life kind of happens to us and takes us down detours along the way, but still, I just love fresh beginnings! I’m really excited about what this year will bring. 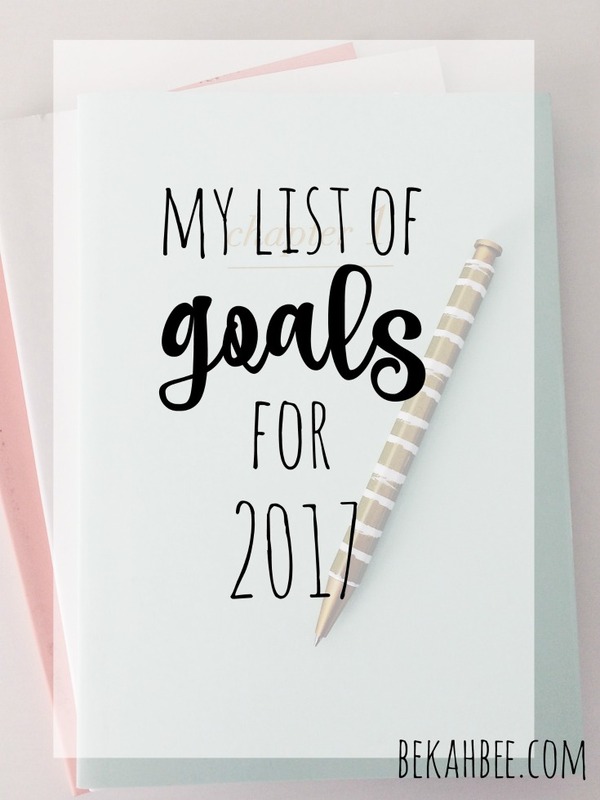 I have some pretty ambitious goals! I recently made a vision board to really help me visualize my hopes and dreams in a way that makes it seem real. I highly recommend doing it! It really helps you remember what you are trying to achieve. This entry was posted in Thoughts on 01/11/2017 by bekah. 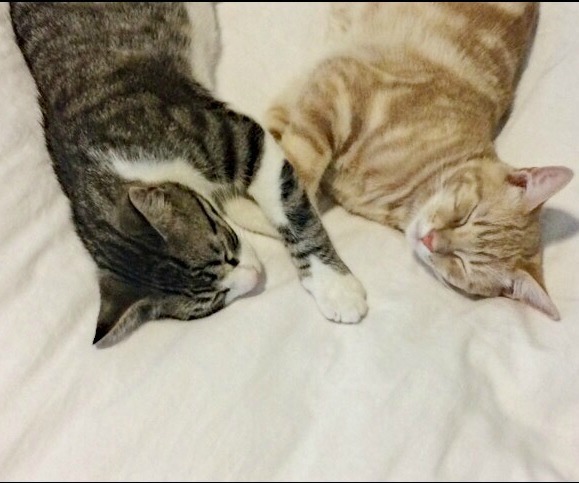 Last year we adopted 2 shelter kittens and it completely changed our whole lives! It is absolutely a change in the best way possible, since we love them more than anything and they have brought a crazy amount of joy to our lives! We would definitely do it again, but I thought it would be helpful for people thinking about getting kittens/cats for the first time to be a bit more prepared mentally for exactly what they are signing up for! 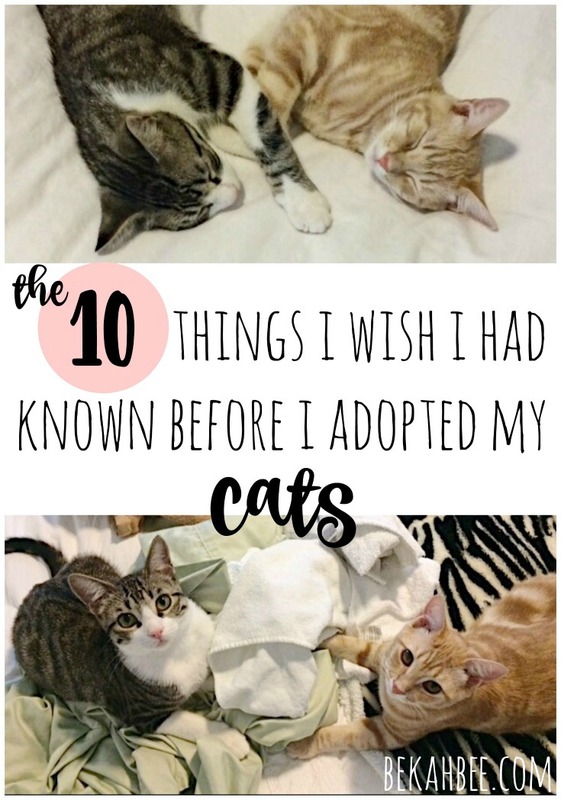 So without further ado, here’s the 10 things I wish I had known before we got our cats. 1. It will be like you instantly have 2 toddlers in your house. Not even like bringing home a new baby, but immediately skipping that phase and going to the “getting into everything at all times” phase.